The Columbia Alumni Association (CAA) gets ready to compete in the Olympics and ALUMpics this week. Join us for a look celebrating Columbia's own Olympians, going back over 30 years. The impressive list includes two siblings who both won silver medals in 2008, the three-time Olympian who took home the gold when she was studying law at Columbia, and this year's Olympians heading to Rio: a student, two alums, and a coach. The Low Down also compiled a handy list of all things Columbia and the Olympics, including news, insights, and coverage from the Columbia community. Learn about health and economic updates coming out of Rio, and much more. Nairi Balian '88CC reflects on women's leadership and her favorite Columbia College memory. The Women American, a new play by Samantha Cooper '16SOA plays the OOB Festival next week. 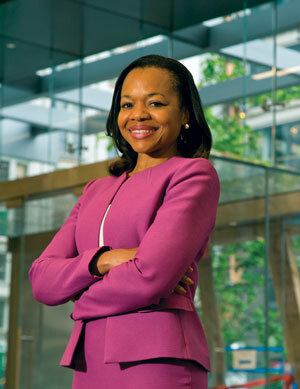 The ABA Journal posted a Q&A with Kristen Clarke '00LAW. While some Columbians are competing in Rio, another battle for the gold is taking place online—the Columbia Alumni Association (CAA) is a contender in this year's ALUMpics. Ivy+ peers Columbia, Cornell, Dartmouth, Penn, Princeton, and Stanford will face off next week in an Instagram-based competition, timed with the real Olympics in Rio. Learn more from The Low Down about the competition. Go Columbia!